﻿ Riad Al Akhawaine Fes. JIMAT di Agoda.com! Ada soalan mengenai Riad Al Akhawaine? Riad Al Akhawaine, terletak di Fes El Bali, Fes, merupakan satu pilihan popular bagi para pelawat. Keseronokan pusat bandar hanya sejauh 1 km sahaja. Tidak kurang hebat adalah akses mudah hotel untuk ke pelbagai daya tarikan dan mercu tanda bandar, seperti Bou Inania Medersa, Arganza, Water Clock. Di Riad Al Akhawaine, perkhidmatan yang cemerlang dan kemudahan yang unggul menjadikan penginapan anda tidak dapat dilupakan. Ketika menginap di hartanah yang indah ini, para tetamu boleh menikmati khidmat bilik 24 jam, Wi-Fi percuma semua bilik, meja depan 24 jam, daftar masuk/daftar keluar ekspres, simpanan bagasi. Hotel-hotel telah direka demi keselesaan dan memudahkan tetamu. Sebahagian bilik menyediakan televisyen skrin rata, internet wayarles, internet wayarles (percuma), bilik larangan merokok, penyaman udara. Sepanjang hari anda boleh menikmati suasana yang santai dengan sauna, padang golf (dalam jarak 3 km) , meluncur ski, spa, rumah urut. Riad Al Akhawaine adalah destinasi sehenti anda bagi penginapan hotel berkualiti di Fes. Staff is friendly. Food is good.Good to experience old Moroccan way of life. Generally very good.There is no lift thus not friendly to old people.we need to walk about 5 minutes to Taxi Stand. It was average. We have a lot of bags and it was difficult to bring all the bags to our room as the staircase are quite narrow and steep. Breakfast was average. The plus point was it has free wifi. my stay at RIAD al AKHAWAINE WAS QUITE GOOD. only I FOUND THE TELEVISION SET WAS SMALL AND VERY OLD. THEY NEED TO PUT NEW TV IN THE SUITE TO MAKE REALLY 4 STAR HOTEL. This riad was very pleasant, and very quiet at night. 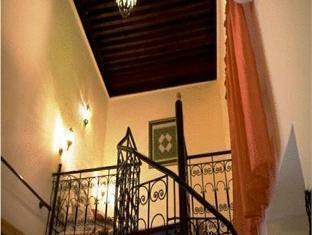 The riad is well located in the medina and close to markets and eating places. Walking in the medina is very easy and pleasant, and motorised transport is available not too far away. Our room was very large and decorated in traditional style. The stair risers are a bit uneven, which requires care negotiating the stairs. But we were helped with our luggage, which made it a bit easier to handle the stairs on arrival and departure. The staff and family running the riad were welcoming and attended to all our requests. Best breakfast i had in Marocco, very friendly en helpfull personal at the hotel and an beautifull room. VERY difficult to find the riad. Located inside the medina with no signs. You must park outside the medina - difficult to find good parking. The staff was friendly upon arrival but turned out not to be reliable. The room was OK but we would not go there again. Many other nicer riads is found in Fes. we stayed at the riad 2 nights and we not satisfied. the bedroom was fine but the bathroom was horrible - felt like a basement with horrible lightening. the roof top terrace is nice but could be arranged much better, with nicer furniture and more space to the guests. the manager was very friendly when we arrived, telling us about how to be careful about trusting people in fes. it turned out that the manager wasn't trust worthy. he recommend us a local restaurant where he could get us in. it turned out to be a tourist trap to where he sent all the guests of the riad. so basically, do not trust him. parking - you must park outside the medina. parking is very difficult to find. Loved the Riad, loved Fez. In a fabulous location. Would recommend to anyone. Would love to return one day. 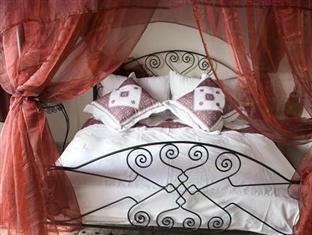 Located in the Medina of Fès, wonderful breakfasts, great decorated rooms. Located in the Medina of Fès it stands out with wonderful breakfasts, great decorated rooms and staff that offers great hints to discover the finest things in and around the city. We could leave our luggage while we went on visiting other places. A place to return to. I stay in this lovely hostel for two nights, the first imagine is the hostel is so big and old England style Hostel staff are very helpful and friendly and funny, I am very happy to choose staying in this hostel If i back to Morocco, i will stay in this hostel for sure ! And i will highly recommended my friend to go !!! 1.place of interest,2.shopping area,3.plenty of restuarants & cafe. The staff was so helpful,friendly and take knows how to take care of you and good knowledge.The staff I would like to mention is Mr.Mohammed. Highly recommended and I will be telling my friends to stay here when in Fez. I greatly appreciated all of the efforts made by the staff to make us feel comfortable, safe, and welcome in Morocco during our stay. Great service and friendly staff, great décor, nice breakfast, and one of the best location in the Fes Medina, with all the great attractions reachable by foot! Nice terrace on the roof. 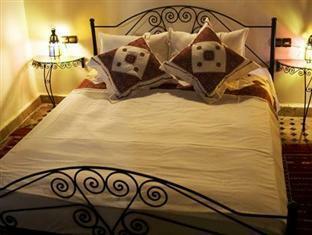 Fantastic place to stay in the heart of Fes. All mod cons work, wonderful bath, spacious stylish room with attentive, thoughtful staff to assist. I really felt taken care of - I was given all the explanation a tourist from Europe would need in Fes, Morocco. Had a great time there, thanks to the place I was staying in! Comfortable stay, very friendly staff, great location. 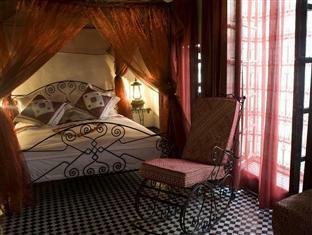 Perfect place to stay in Fes. Mohammed was incredibly friendly and welcoming. The room was large and gorgeous. Great spot in the heart of the medina. We really enjoyed our stay at this Riad!! I stayed with my parents and our experience couldn't have been better. The staff were incredibly friendly, attentive and helpful. They helped us a lot with maps and sightseeing which was wonderful. The breakfast consisted of three different types of bread, with various spreads, quality honey, butter, cream cheese, alongside fresh yoghurt, fruit, mint tea, coffee and tea. 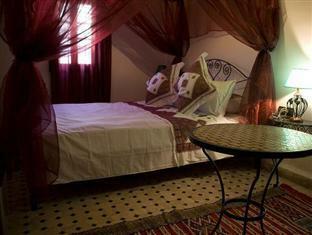 The design of the hotel was traditional Moroccan style and our rooms were clean, spacious and luxurious!! We really liked the rooftop too, which had fantastic views of Fez especially during sunset.